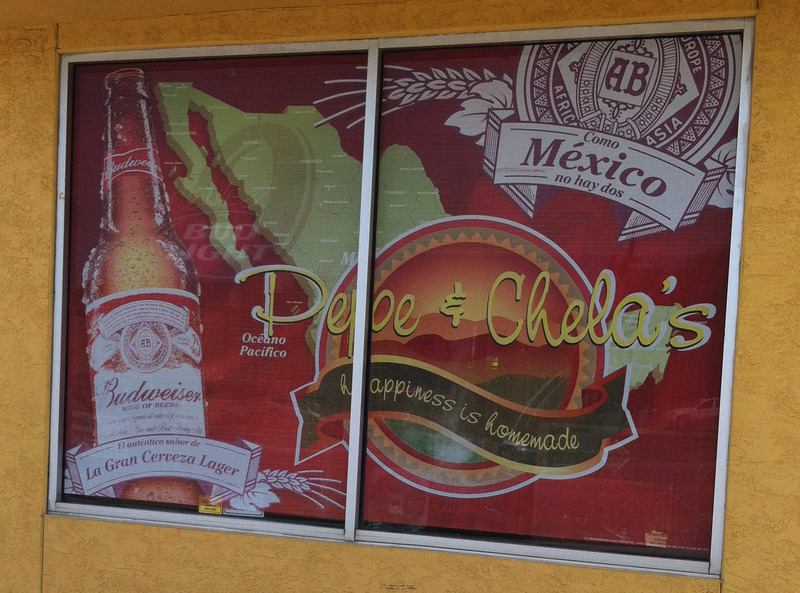 Last month I had to run to Topeka for a work errand, so I decided to work a stop to “Pepe and Chela’s” Mexican restaurant in downtown Topeka into my trip since I knew I’d have the extra time. I had heard it was a good place, so I figured I owed it to myself to try it someday when it was convenient. It was easy enough to get to from I-70, as it is on 10th St., just west of Topeka Blvd. 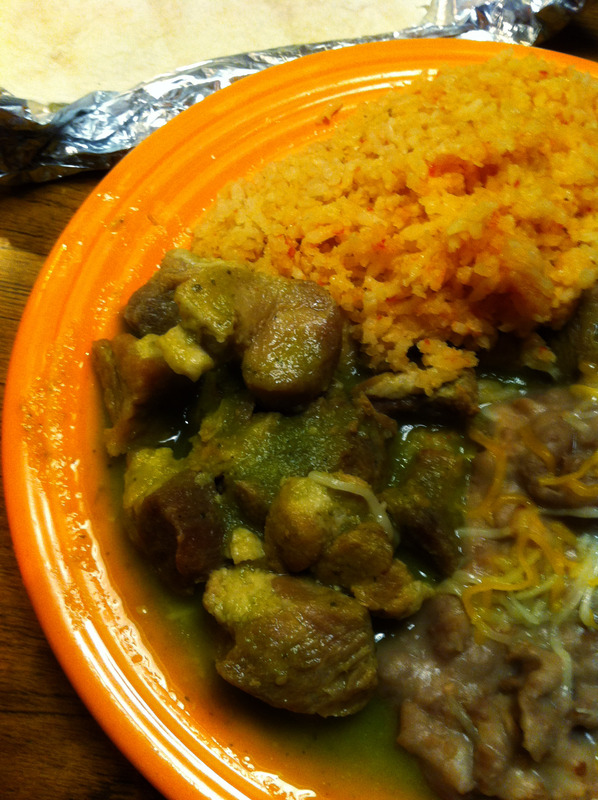 Who needs green eggs and ham when you have chili verde? I had the “Chili Verde con Carne”, which was large serving of big hunks of pork that had been slowly cooked in green chili sauce and served with rice, beans and tortillas. It was very good to say the least. The meat was tender and had the perfect amount of green chili flavor with it. Add some beans, rice and salsa and put in a tortilla and it was hard to beat. The chip and salsa were really good as well! I can’t speak for the margaritas, as I was working that day, and had to drive home anyway, but I’m sure they were serviceable at the very least! I know Topeka has a certain stigma about it, but I really like downtown Topeka myself, and this place just adds one more reason to stop there when in search of food. Being right by the capitol, you may even get lucky as I did, and overhear some political gossip at the booth next to you! That’s a fast way to spice up and already tasty meal!